9 June 2016 – Thaipat Institute has joined forces with the private sector in bringing corporate social responsibility to the next level for the older persons. Just as Thailand is becoming a complete aged society, enterprises are nudged into preparing their businesses for the population shift through CSR-in-process and also social enterprises. Thailand will turn into a complete aged society within the next five years or by 2021. In other words, one in five Thais or 20 per cent of the country’s total population will be the older persons by that time. At present, about 10.42 millions of Thais or 15.6% of the Thai population have been in their old age. Of the total aging population, 36.3% or 3.78 million are still working. Of the older workers, 2.23 million (59%) are male and 1.55 million (41%) are female. On their work status, 63.1% are self-employed. About 18.2% have worked in their family business without pay. 12.8% are company employees. And 3.8% of the older workers are business-owning employers 1. Dr. Pipat Yodprudtikan, director of Thaipat Institute, says, “The private sector can play a role in being a source of income for the older persons. Enterprises may hire older workers for jobs that match their age, educational background, experiences, and physical conditions. On the supply side, private firms can buy products and services from the older persons’ cooperative, while on the demand side, the private sector can respond to the increasing demand from the country’s growing aging population by developing products and services for the older persons”. 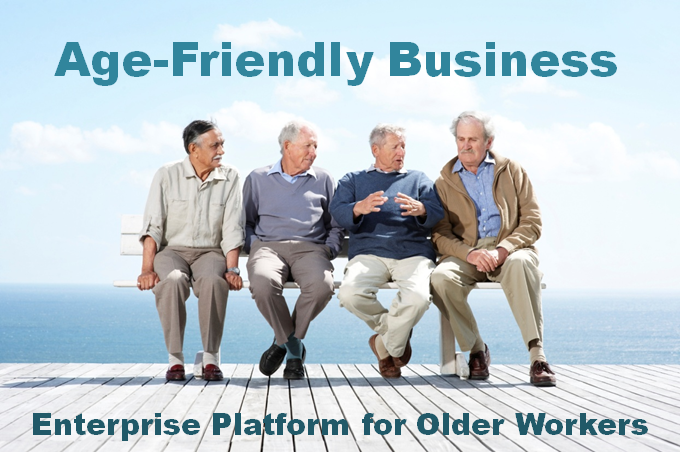 Recognizing the potential and opportunities in the aging population, Thaipat Institute has developed the “Age-Friendly Business Platform”. Its first goal is to push business organizations with CSR-in-process into adjusting their business processes in response to the needs of the older persons. For example, enterprises may start hiring older workers or developing products/services for the older persons through CSR-in-process concept. The other goal is to encourage capable business organizations to cater their business model to the specific needs of the aging population. For example, they may support social enterprises that are founded by retired company workers. Or they may consider turning their organization’s older persons club into a social enterprise. This platform is designed to enable the older persons to use their potential, wisdom, knowledge and experiences for the benefits of themselves as well as society as a whole. Such use also means a regular job and regular income for people who in fact have already reached their retirement age. In launching this platform, Thaipat Institute plans to study and draft age-friendly business guidance based on CSR-in-process as well as social enterprise concepts. Then, publicly hearing on the finding, sketching the movement and implementation with the pilot organizations. Along the process, Thaipat Institute will obtain case studies and present policy recommendations to relevant authorities. The first activity in support of this platform is a focus-group session. Organized jointly by Thaipat Institute and the Department of Older Persons, the Ministry of Social Development and Human Security, titled “Sustainability Forum for Older Persons” is scheduled to take place on Thursday 23rd June 2016, between 1pm and 4pm, at Ballroom Foyer, 2nd Floor, Chaophya Park Hotel, Ratchadapisek Road, Bangkok. Private firms that are interested in adjusting their business processes or developing a new business model for the aging society, either via CSR-in-process or social enterprises, are welcome to attend the event for the exchange of knowledge and opinions. (Pre-registration required). 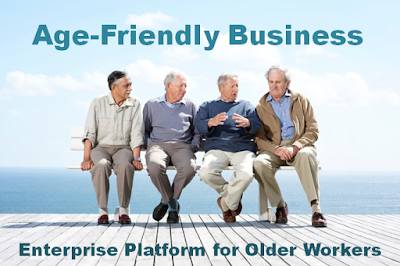 Organizations wish to join the aforementioned focus group or to jump into the Age-Friendly Business network, check out further information at http://agefriendly.biz. 1 National Statistical Office of Thailand, key findings about working older persons in Thailand in 2015.